This book offers an interdisciplinary account of the role of science and technology in contemporary culture, culminating in a social-political and philosophical critique of transhumanism. Its central claim is that it is past time to restrain the runaway ambitions of technoscientific knowledge. The author probes the assumptions of leading transhumanist thinkers and reviews the arguments of prominent critics as he develops his own distinctive take on transhumanism. He frames these other discussions within a wider critique of the modern technoscientific impulse, which is seen as the hidden driver of any number of the social pathologies. Crucially, he offers his own naturalistic account of an alternative path for human flourishing, and discusses how philosophy needs to change in order to better contribute to pressing societal questions and to be made relevant to public policy. The interdisciplinary orientation of Transhumanism, Nature, and the Ends of Science makes it relevant to scholars and students across a wide range of disciplines, including social and political philosophy, philosophy of technology, science and technology studies, environmental studies, and public policy. 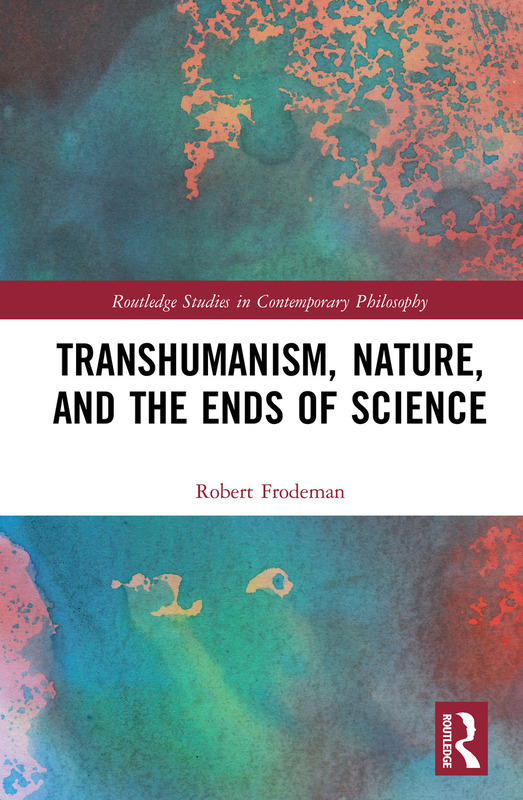 "Humanity and nature have been defended on many sides from the onslaught of science and technology, but in this book Frodeman expertly confronts what is arguably the greatest challenge of them all, transhumanism." – Steve Fuller, Author of Humanity 2.0, University of Warwick, UK. Robert Frodeman is Professor of Philosophy at the University of North Texas. He is the author and/or editor of 16 books, including the Oxford Handbook of Interdisciplinarity, Sustainable Knowledge: A Theory of Interdisciplinarity, and Socrates Tenured: The Institutions of 21st Century Philosophy (with Adam Briggle).